Karena admin sedang mabuk TVD jadi di akhir tahun ini akan disajikan info tentang The Vampire Diaries. di postingan ini akan diberikan info tentang para pemainn TVD semoga bermanfaat! In The CW’s hit drama, “The Vampire Diaries,” Nina Dobrev plays a double role, starring as Elena Gilbert, a beautiful young girl caught between two vampire brothers, and as Katherine Pierce, the ruthless vampire the brothers knew and loved in the nineteenth century. For her portrayal of Elena/Katherine, Dobrev was awarded the Teen Choice Award for “Choice TV Actress Fantasy/Sci Fi” in 2012, 2011 and 2010 and the “Choice TV Female Breakout Star” in 2010. In 2012, she also was the first actress to win the People’s Choice Award for “Favorite TV Drama Actress” as a write-in candidate. In film, Dobrev has just wrapped production on the Summit Entertainment film “The Perks of Being a Wallflower,” written and directed by Stephen Chbosky. The film, based on the novel published in 1999, tells the story of an introverted freshman named Charlie (played by Logan Lerman), who learns about everything from drug use to suicide after being taken under the wings of his step-siblings. Dobrev will play Charlie’s older sister in the film, which will be released in September, 2012, and will premiere at the Toronto International Film Festival. She has also finished production on “The Killing Game,” with Kellan Lutz and Samuel L. Jackson. The film centers on a man (Lutz) who is kidnapped and forced into the world of modern gladiators. Dobrev plays the wife of Lutz’s character. Dobrev was last seen in Screen Gems’ “The Roommate,” with Leighton Meester and Minka Kelly. Other past film credits include Montecito Pictures’ “Chloe,” with Julianne Moore, Amanda Seyfried and Liam Neeson, “Fugitive Pieces,” with Ayelet Zurer and Rosamund Pike, “Away From Her,” with Julie Christie, and “The Poet.” Television credits include lead roles on “DeGrassi: The Next Generation” and “MTV’s The All American Mall,” as well as a guest appearance on “Eleventh Hour.” She has also appeared in the television movies “Never Cry Werewolf” and “Too Young to Marry.” Born in Bulgaria, Dobrev moved to Canada at the age of 2 and grew up in Toronto, Ontario. 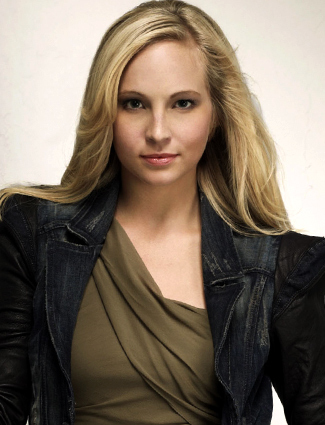 She currently lives in Atlanta, Georgia, where "The Vampire Diaries" is filmed. McQueen was born in Los Angeles, California, the son of Stacey Toten (Stacia Robitaille) and actor/producer Chad McQueen. His paternal grandparents were actor Steve McQueen and Filipina-born actress Neile Adams. His stepfather, Luc Robitaille, is a retired Canadian NHL hall of famer. McQueen has two younger half siblings, Chase and Madison McQueen, from his father's remarriage, as well as a half brother, Jessarae Robitaille, from his mother's remarriage. McQueen uses the name 'Steven R. McQueen', professionally, the 'R' referring to his stepfather's surname of Robitaille. In 2005 McQueen made his acting debut appearing in an episode of the short lived Sci-Fi CBS television series Threshold. 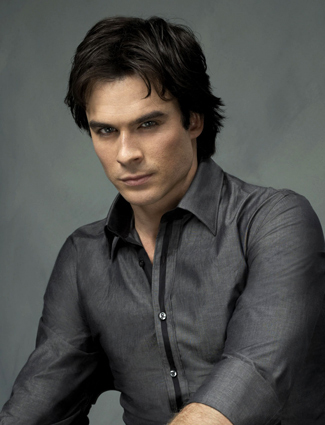 He has since made guest appearances on television shows such as Without a Trace, CSI: Miami and Numb3rs. One of his most notable roles to date was a recurring role for seven episodes as Kyle Hunter on the final season of The WB television series Everwood. In January 2008 played the villainous role of Derek Beauguard on the Disney Channel Original Movie Minutemen which was Steven's first film role. 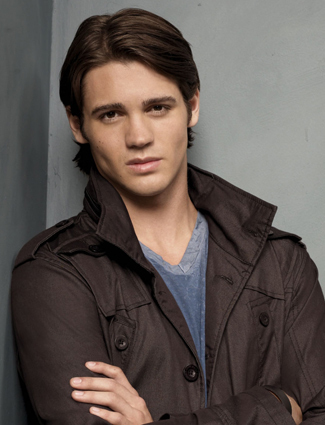 In February 2009 Steven was cast as the role of the rebellious Jeremy Gilbert on The CW supernatural drama television series The Vampire Diaries based on the book series of the same name. The series premiere proved successful with the series reaching record breaking ratings for the network and acclaim from critics as the series progressed. The role went on to be what is considered as Steven's breakout role. Steven starred as the protagonist of the 3D Horror Comedy film Piranha 3D as the role of Jake Forestor in the remake of the 1978 film of the same name. The film which received mixed to positive reviews from critics went on to make $83,188,165 worldwide. Kat Graham stars as Bonnie Bennett, a powerful witch whose life and friendships have been turned upside down by the arrival of two vampire brothers, in The CW’s new drama “The Vampire Diaries.” Born in Geneva, Switzerland, Kat speaks four languages – English, Spanish, French and Hebrew – and is the daughter of a Liberian father and a Russian Jewish mother. At the age of 6, Kat began acting in commercials such as Barbie, K-Mart, Pop-Tarts and Old Navy, and television shows including “Like Family,” “Grounded for Life,” and “Lizzie McGuire.” Her first big break came when she replaced a young Christina Milian as the host of the Disney channel’s popular series “Movie Surfers.” Kat can also be seen in the films “17 Again,” with Zac Efron and Matthew Perry, “The Roommate,” with Leighton Meester, and the starring role in “Honey 2.” Kat furthered her natural acting talents with vocal training, piano lessons and dance classes. At 15, she was chosen by renowned choreographer Fatima to perform at the BET Awards as a background dancer for Bow-Wow, leading to stints as a dancer for Missy Elliott and Pharrell, as well as choreographers Hi Hat and Michael Rooney. In addition to being a professional actress and dancer, Kat began to pursue a career as a musical artist. One of the first songs she wrote and performed – “Derailed” – was featured in a Jean-Claude Van Damn movie. She was inspired to purchase her own studio equipment and add producer to her list of talents. A year later she met superstar producer Damon Elliott (Pink, Mya, Destiny’s Child), who became a mentor. While the two worked on perfecting Kat’s skills as a musician and producer, she continued to work as an actress, starring on the series “CSI: Las Vegas”, “The O.C.,” “Malcolm In The Middle,” “Joan of Arcadia,” “Strong Medicine” and “Hannah Montana.” She appeared in music videos, including Akon’s “Mr. Lonely,” 112’s “What If,” John Legend’s “Used to Love U,” B2K’s “Why I Love You” and Musiq Soulchild’s “Buddy.” At 17, Kat was selected by Coca-Cola as part of an international campaign to market their soft drink Fanta. While promoting the campaign as a member of the “Fantanas” (as Capri/Strawberry), Kat simultaneously completed her degree in recording engineering. In 2007 Kat went on a world tour with The Black-Eyed Peas, and her voice is featured on Will.I.Am’s solo release “Songs About Girls” (“I Got It From My Mama”) and “The Donque Song,” featuring Snoop Dogg. In addition to her acting and dancing abilities, Graham wrote and sang a song titled "Derailed," which was featured in a Jean-Claude Van Damme movie. At 17, Kat was selected by the Coca-Cola Company as part of an international campaign to market their soft drink Fanta. While promoting the campaign as a member of the "Fantanas" (as Capri/Strawberry), Graham simultaneously completed her degree in recording engineering. She recently finished a world tour with The Black-Eyed Peas, and her voice is featured on Will.I.Am's solo release "Songs About Girls" ("I Got It From My Mama") and "The Donque Song," featuring Snoop Dogg. Additionally, she's working on her first album, which features collaborations with top producers like Dr. Hollywood and JR Rotem. Kat was recently signed to A&M Octone Records and she released her debut EP, “Against The Wall” in May of this year. The first single, “Put Your Graffiti On Me,” which was produced by Australian Duo “Twice as Nice” (50 Cent, Pete Wentz), reached over 4 million views on VEVO and is currently charting on the Billboard Dance Charts. Candice Accola stars as Caroline Forbes, a young woman searching for friendship, love and her place in the world – while dealing with the fact she is now one of the undead -- in The CW’s hit drama “The Vampire Diaries.” Accola was most recently seen starring in the second season of Hulu’s top-rated web series “Dating Rules from My Future Self,” for which she also served as a creative producer. Prior to that, she appeared in the smash hit film “Juno,” opposite Ellen Page and Michael Cera. Accola also starred in “Deadgirl,” the independent horror film that was met with much critical attention and internet buzz at the Toronto Film Festival in 2008. On television, she has had guest starring roles in The CW’s “Supernatural,” as well as “Greek” and “How I Met Your Mother.” Accola is best known for her musical talents, and she provided back up vocals in “Hannah Montana: the Movie,” as well as touring with the “Miley Cyrus/Hannah Montana Best of Both Worlds” tour in 2008. Prior to that, she achieved success in her music career after being signed to a record deal at the age of 16. Her music has garnered international success and she continues to record and write her own music. In the spring of 2010, she became passionately involved with the Tick Borne Disease Alliance, (formerly known as Turn the Corner), a foundation dedicated to awareness and education about Lyme disease. After reconnecting with a childhood friend chronically afflicted with the disease, Accola has spent much of her free time educating others about the symptoms, treatments and problems association with the disease. Accola was born and raised in Orlando, Florida, and currently resides in Atlanta, Georgia, where "The Vampire Diaries" films. 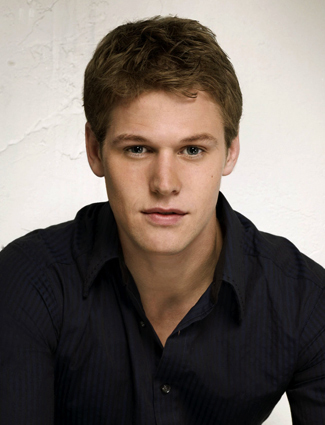 In The CW’s hit drama, “The Vampire Diaries,” Zach Roerig stars as Matt Donovan, an all-American guy struggling to do the right thing in a town full of mystery and violence. Many viewers will remember Roerig from his high-profile arc as Tyra’s (Adrianne Palicki) bad boy beau, rodeo star Cash, on the critically acclaimed drama “Friday Night Lights.” While “The Vampire Diaries” marked Roerig’s true introduction into primetime television, he is no stranger to hard, steady work. Born and raised in Northwestern Ohio, Zach assisted in his family business and played competitive sports, including football and wrestling. Growing up in a small, rural town, Roerig has always been an avid outdoorsman. In his later years of high school, he caught the acting bug and began commuting to Cleveland (the closest big city) to begin formal training. Upon graduation Zach moved to New York to pursue his dream of a career as an actor. Within a matter of months, he landed the role of Casey Hughes on the daytime serial “As the World Turns,” where he made such an impression on the producers and fans that he was soon offered a long-term contract. His two-year stint on the soap allowed him to continue honing his craft while enjoying steady work as an actor. As he delved more into the world of acting, he discovered a passion for producing and developing his own projects at the same time. With one short film already completed, Zach remains excited about taking on other stimulating television and feature projects, whether acting or producing. Roerig currently resides in Atlanta, Georgia, where "The Vampire Diaries" is filmed. usаge of? Can I am getting your affiliate hyрегlink to youг hoѕt?